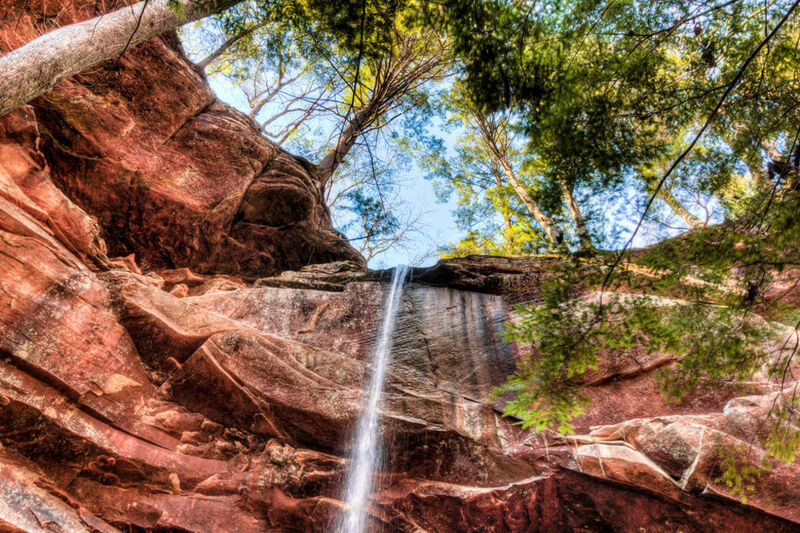 Nestled in Alabama’s northwestern corner, near the small town of Double Springs in Winston County, Bankhead National Forest is one of Alabama's most magical areas. Its more than 180,000 acres of protected national forestland encompass a multitude of lakes, streams, and waterfalls, plus excellent hiking, fishing, and paddling opportunities, that beckon adventure-minded visitors from all over. The park opens its gates to overnight guests in spring. So dust off the hiking boots, dig out the paddles, tie on the lures, grab your cooler and your adventurous buddies, and head out to one of the premier outdoor areas in the “Sweet Home” state. Here, a few things not to miss during your visit, whether it's a day-long excursion or an overnight adventure. Known also as the “land of a thousand waterfalls,” the forest is dotted with many natural waterfalls that cascade over moss-covered limestone bluffs. Turkeyfoot Falls is one to visit, and may be found a very short hike away from the Sipsey River Picnic Area and Trailhead just off County Road 6/60 (Cranal Road). 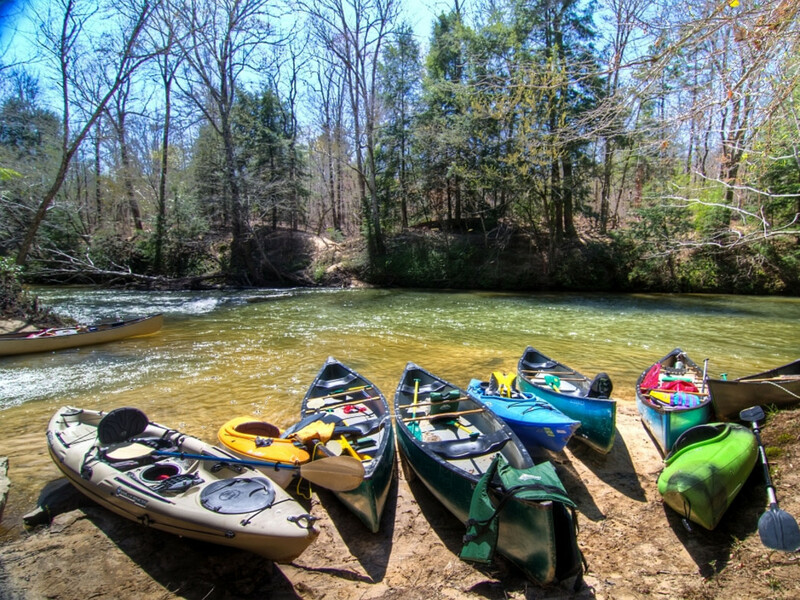 Bankhead is also home to the state’s only National Wild and Scenic River, the Sipsey Fork. This river, a 71-mile segment of the greater Black Warrior River, is one of the only locations in the state where fishermen can catch rainbow trout year-round. One of the reasons that the highly sought-after trout are able to survive in this segment of river is due to the chilly floe from Lewis Smith Lake, as this breed of fish is picky when it comes to habitat and will only thrive in waters that are 70 degrees or lower. “Fly fishermen come from all over the country to fish the area,” says Brandon Jackson of the Riverside Fly Shop, which is located just a few miles from Lewis Smith Dam. 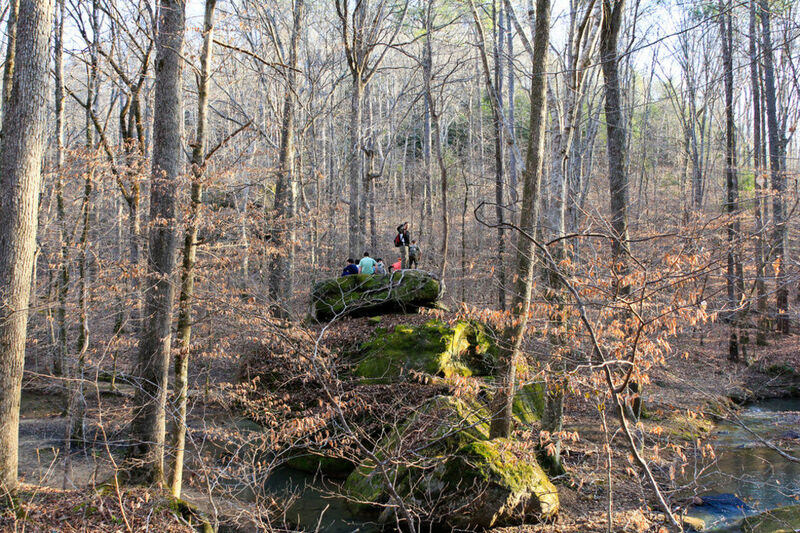 History buffs won’t want to miss an easy trek to Kinlock Shelter, another notable landmark in the national forest, that’s a natural rock shelter and Native American cultural site. The Yuchi Tribe is known to have used the site for ceremonies and celebrations of the solar cycle that still take place today. Petroglyphs and other indigenous markings may be found throughout the area, which is off-limits to overnight campers (alcohol is prohibited, too, so save the adult beverages for elsewhere). 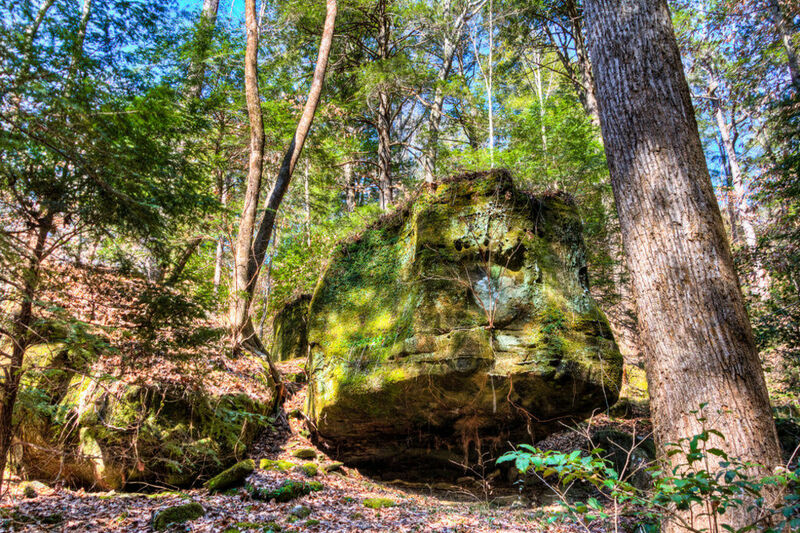 Many visitors to Bankhead National Forest take advantage of the more than 100 miles of recreational trails that meander through old-growth stands of hemlock and hardwoods. (That mileage does not account for the 25 miles of equine-specific trails that cater to the needs of horseback riders and their four-legged companions.) Owl Creek Trail is well suited to both hiking and horseback riding and is located in the Sipsey Wilderness in the northeastern section of the national forest. 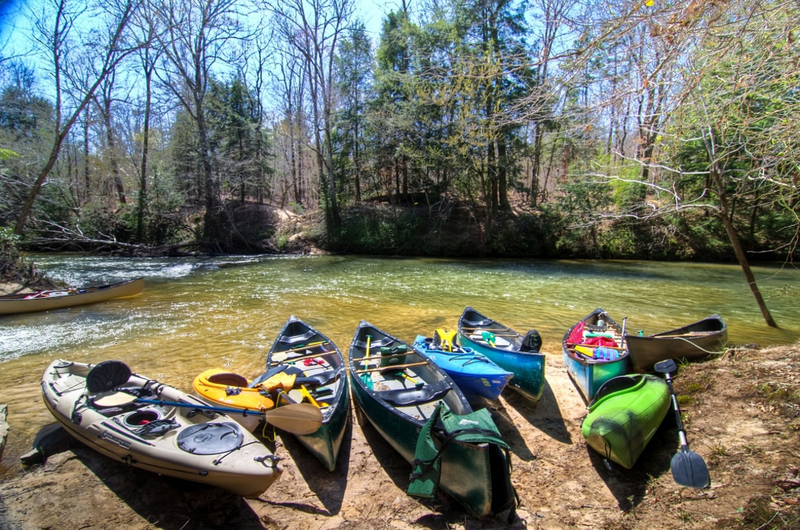 Canoeing and kayaking are also popular activities on the various waterways within the parks and forests—especially as the mercury on the thermostat continues to rise. One of the best and most accessible of the routes available to visitors begins near the Sipsey River Picnic Area and Trailhead and ends nine miles later at the Highway 33 bridge toward Double Springs. Plan for a full day of paddling (or even an overnight trip) for this route, and be sure to make room for sightseeing along the way. Hurricane Creek Falls is another destination that should not be missed and is easily accessible on this route. The falls are accessible via a short hike from what locals refer to as the “100-yard dash”—a Class II section of narrow waterway known to send novice paddlers overboard. Just past this speedy section of river, look for an inlet to the left. A short hike up along the canyon will reward paddlers with up-close views of these fantastic falls. Finally, no visit to Bankhead National Forest is complete with out stopping to see Bee Branch, a 500-year-old poplar that looms 150 feet over the forest canopy. Located in the Sipsey Wilderness, this remarkable tree looks like something straight out of Fern Gully. Other maps/points of interest: Sipsey Wilderness Trailhead, Sipsey Canoe In/Out, Flint Creek Multi-Use Trail, Owl Creek Non-Motorized Trail.